Here is the 3rd of 4 layouts from my Paige's Pages 13 class with Big Picture Classes! 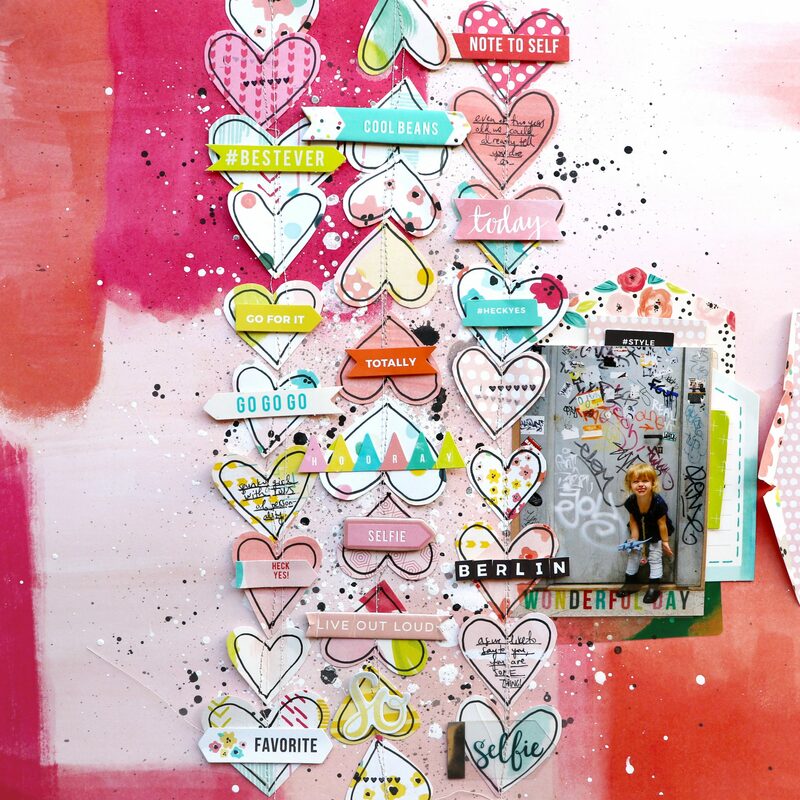 This layout is all about patterned paper heart garlands. If you watch the start-to-finish video you'll see that not every layout is as easy to make as the next! I struggled for a long time to figure out the placement of the heart garlands and originally started with about 6 more strands of them and ended up only using 3! Then before I stitched the hearts down I needed to spice up the background so I tried to make it messy and crazy like all the graffiti of the door cute Jane is standing in front of. Be sure to pop on over to Paige's Pages 13 to check it out! Love love love love this! LOVING that adorable photo and loving all the hearts!!!!!!!!!!!!!!!! !